Jasmine Monjack (Jazmyn Newman) is the daughter of Simon Monjack from his relationship with Marcia Newman. Jasmine Monjack was born in 1996 and is 20 years old in 2016. Jasmine grew up in the UK – Luton, Bedfordshire, with her mother Marcia. Jasmine’s mother and father were together until she turned two; they lived together in England. Even though Simon separated from Marcia, he would spoil his little daughter by taking her to shop at Harrods (luxury London department store). He moved abroad when Jazmyn was seven, and they stopped seeing each other but would sometimes chat over the phone. He didn’t pay child support and didn’t leave Marcia Newman anything when he died. At the age of 18, Jasmine studied beauty at college and worked part time in a tanning shop. Jasmine Monjack was about 15 when her father died in May 2010, five months after his wife and Jasmine’s stepmother, Brittany Murphy had died. The two had married in 2007. 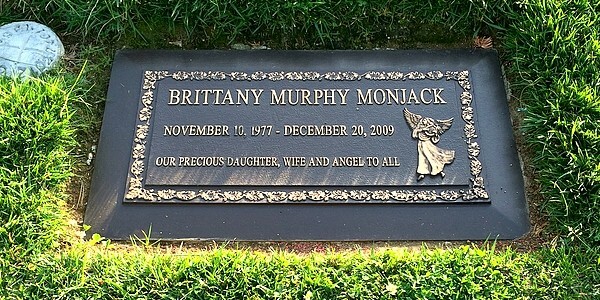 Simon was laid to rest in the Hollywood Hills (Los Angeles, USA), next to Brittany Murphy. Coroner found that the two had similar causes of death – pneumonia and anemia. Some people think that Jazmyn’s father died of a broken heart, others – that he was abusing tainted drugs, and others – that he was poisoned. Jasmine’s father Simon Mark Monjack (1970 – 2010) was born in 1970 in Hillingdon, West London, England. Simon was a British screenwriter, film director/producer and makeup artist. He has reportedly had many romances that ended in heartbreak. Simon Monjack’s children were a secret for a long time, even from his closest family members. His mother and some other relatives found his laptop with emails by two separate women asking him for child support – one for a son and the other one for a daughter. It turned out that Simon was transferring up to $48,000 to his lawyers and someone in Europe for a settlement. Simon Monjack’s Daughter Jasmine Monjack last saw her dad when she was seven, but she remains close to her grandmother, Linda Monjack. In 2013, Jazmyn joined calls for re-investigation into the causes of death of her father and step-mother, as she believes they were both poisoned. In the investigation she joins her grandmother Linda Monjack and Brittany Murphy’s father Angelo Bertolotti. One of the main grounds for the investigation is a toxicology report ordered by Angelo that found heavy metals in the actress’s system, meaning that she might have been exposed to rat poison. Two people died of the same causes moths not years apart andno one find it suspicious?????? ?